Having firm and healthy looking skin is a sign of youthfulness. It’s something we all want to achieve and maintain as we age. Just because you are getting older does not mean you have to give into tired and sad looking skin. The earlier you start looking after your skin, the better it will look later on in your life. There’s no time like the present. Here are 4 ways to keep your skin looking firmer and healthier for longer. Protection is a vital step when preventing the ageing process. We need our skin to continue producing collagen, so it can maintain it’s elasticity and vibrancy. You should be using sunscreen to protect your skin from the sun’s harmful rays. Choose an SPF of at least 30. Apply to your face, neck and chest as the skin here is particularly delicate. Keeping out of direct sunlight is another ideal protection for your skin. Burning can cause serious and harmful damage to your skin, including age spots and skin cancer. So avoid burning at all costs. Smoking can age your skin dramatically. It destroys collagen and elastin in the skin that keeps it firm. This means as you smoke over a long period of time, your skin will begin to sag and create wrinkles. It will also make your skin appear grey and discoloured. Not what you want when you want healthy, glowing skin. Hydrating your skin is one of the best ways of keeping your skin looking firm. Dehydrated skin can be ageing as the skin cannot repair itself. This means that your skin is likely to get drier and damaged as a result. 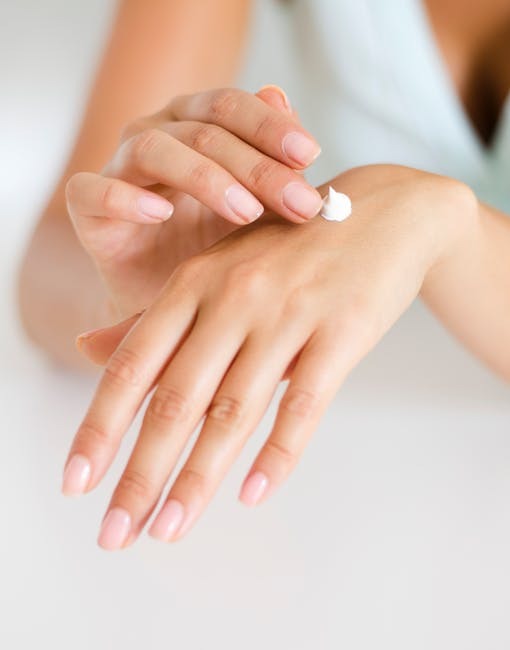 Use a moisturizer to keep dry and irritable skin at bay. Remember to also pay attention to the skin on your neck and chest. Your neck, in particular, is likely to sag due to lack of moisture as you age. So don’t forget about it. Using serums are also a great product you should use to lock in your skin’s natural moistures. Choose products that are suitable for your skin type and always apply after your shower or bath. This is when your pores are open and can soak up the product more effectively. If you already have some areas which you feel could look firmer, why not look at non-invasive beauty treatments. Skin tightening doesn’t have to mean going under the knife. Procedures such as thread lift treatments are a great alternative to a facelift. It will leave you with amazing results and can be completed in thirty minutes. You could even have it done during your lunch break if you wish. For these procedures, you will need a consultation with a specialist. They can recommend suitable treatments and advice for you to try. Your skin could look firmer and more youthful in the space of an hour. Start using some of these techniques and you will have firm skin for the rest of your life. It’s never too late to start so start today.